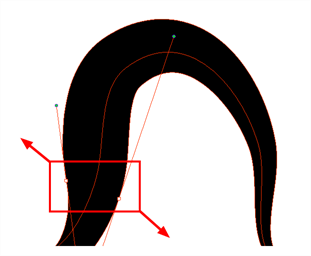 NOTETo learn how to use the Pencil Editor tool, see About the Pencil Editor Tool. Defines the maximum width of the pencil line. 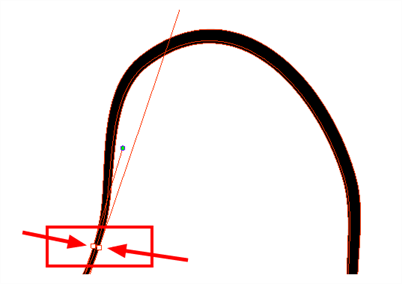 If the pencil line has a constant size, this will define the width of the pencil line all over. If the pencil line has a varying size, this will define the width of its larger areas. Areas that are in-between the maximum and minimum size will be resized proportionally. Minimum Size Defines the minimum width of the pencil line. 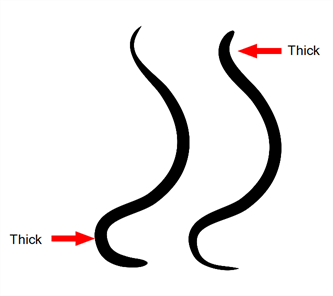 If the pencil line has a varying size, this will define the width of its smaller areas. Areas that are in-betwen the maximum and minimum size will be resized proportionally. 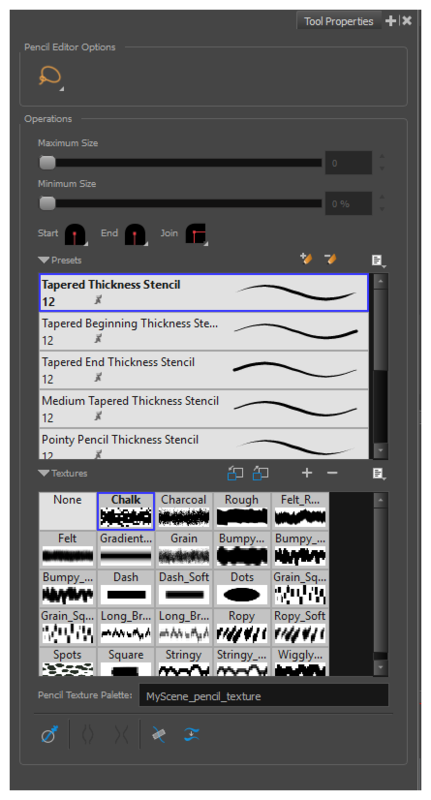 You also have the possibility to apply different textures to your lines by either using the default presets or importing your own —See About Pencil Line Textures. . Allows to create a new preset from the selected pencil line. Adds a new custom pencil texture to the list. Delete Texture Deletes a texture preset from the list. Rename Texture Renames the selected texture to keep the list organized. Harmony provides a variety of pencil texture presets and also lets you create and save your own. Pencil Texture Palette Displays the colour palette assigned to hold the pencil textures. Use the Colour View menu to assign a new palette.